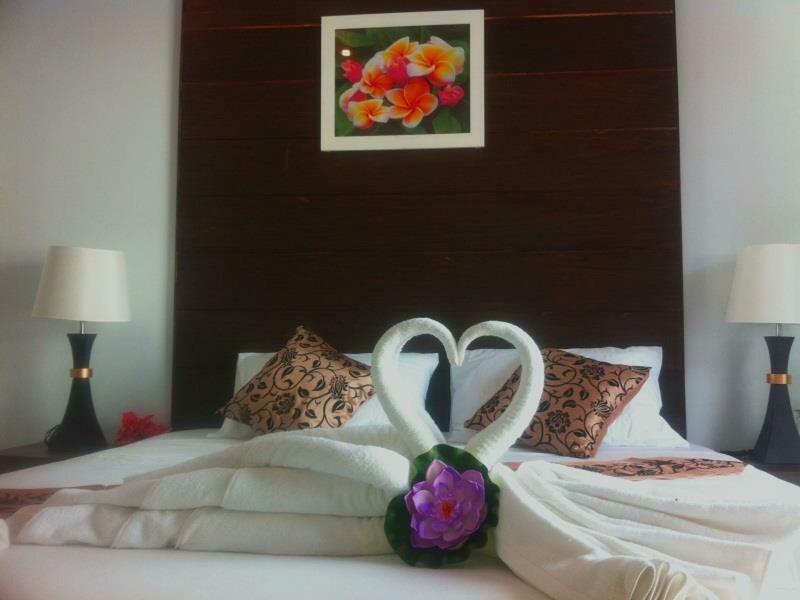 Heeft u een vraag voor NT House Koh Lipe Resort? Het NT House Koh Lipe Resort in Koh Lipe eiland ligt op een gunstige locatie voor reizigers met een interesse in romantiek, bezichtiging van bezienswaardigheden, stranden en is bij uitstek geschikt om te ontsnappen aan de hectiek van alledag. Het hotel ligt slechts van het stadscentrum: lokale bezienswaardigheden zijn dus snel te bereiken. Dankzij de praktische locatie liggen alle belangrijke trekpleisters in de buurt van het hotel. 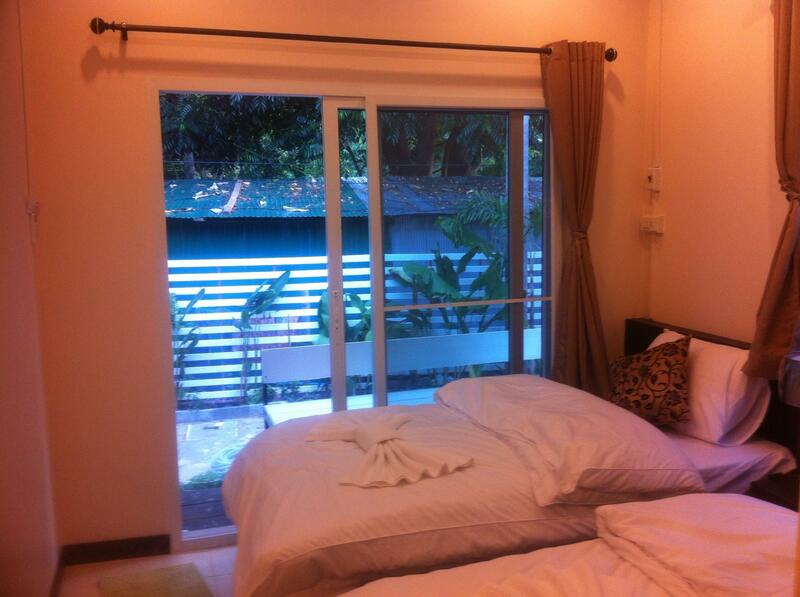 Voor NT House Koh Lipe Resort is niets teveel om het gasten naar de zin te maken. Zo biedt dit hotel goede service en vele faciliteiten. Het hotel biedt gratis wi-fi in alle kamers, wi-fi in openbare ruimtes, restaurant, tours, wasserij om gasten een maximaal comfort te garanderen. De ambiance van het NT House Koh Lipe Resort weerspiegelt zich in de inrichting van de kamers. plasma tv, internet (draadloos), draadloos internet (gratis), airconditioning, balkon/terras zijn slechts enkele van de faciliteiten die u ter beschikking staan. Daarnaast garanderen de talrijke recreatieve mogelijkheden dat u zich tijdens uw verblijf kunt vermaken in het hotel. Wat de reden van uw bezoek aan Koh Lipe eiland ook is, het NT House Koh Lipe Resort is de perfecte keuze voor een enerverende vakantie. we are 4 people, there's no people come to pick us at immigration even i've request when booking the room. taxi driver request 50 bath per person and told us it need walk about 30 mins from immigration, but the truth is only 10 mins walk from the beachside and taxi driver appointed the far direction way to us and cause us walk a big round about 30 mins only reach hotel. when we reach hotel, the Auntie wonder why we didn't ask for pick up, but i told her i already request and no 1 come pick us, she very angry and scold her male staff. i can't understand what she talking in Thai language but it seems funny :D . Overall the room is small but nice, WIFI very fast, at the walking streets very convenient. Value for money! Ms.Mee at the reception was really friendly and helpful.But...but, Ms.An serving breakfast was very rude,sour face,raised her voice,even threw our slippers when cleaning the floor. Breakfast supposed to served at 7.30am. But,she only sweeped,mopped,setup at 7.30am. Of course, we had to wait for her. Worst,ate in the hurry to catch morning ferry to Pakbara. A good place to stay.Only,this Ms.An really spoilt our 3 mornings. The resort is strategically located along the walking street and it is very convenient to go around the island from there with walking distant. Slightly away from pub area, is a quiet place. Room are clean, but the toilets were sandy & dirty and water is not strong. Standard American breakfast but today got 2 sausage ; 2mr got 1 sausage, when ask the girl say dunno. *weird* Wifi is bad, cant access it. Overall, we are satisfy with this place. Not bad, strong wifi and this make me will return here again one day. Sink is too small for us to put our toothbrush and some else. Unfortunately, the next day, we were wake up by the water dropping from air-conditioner. But the location here is the best and i like here ! Poor service. 1. They have a lot of motorcycle ,but they cannot send some one pick up us at front of walking street. I have try to call them before I use speed boat. 2. No one told that we must return the key to reception before get off to snorkeling trip. They didn't clean up the room. I think rhat the room I stayed in requires a list of maintainable, the flooring in the room came off, the matters and the bed d frame does not fit. it resulted to us running into the corners of the bed frame. the toilet taps is leaking, rooms seems to smells moldy throughout the entire stay. the best thing is that I only found out that you can't lock the sliding window when I was about to go to bed. this is room #9. I hope that the resort owner can fix all this before assigning the room to other tourist during this low season. It's not as dirty as described in other reviews. It's ok but expensive for the money you pay. 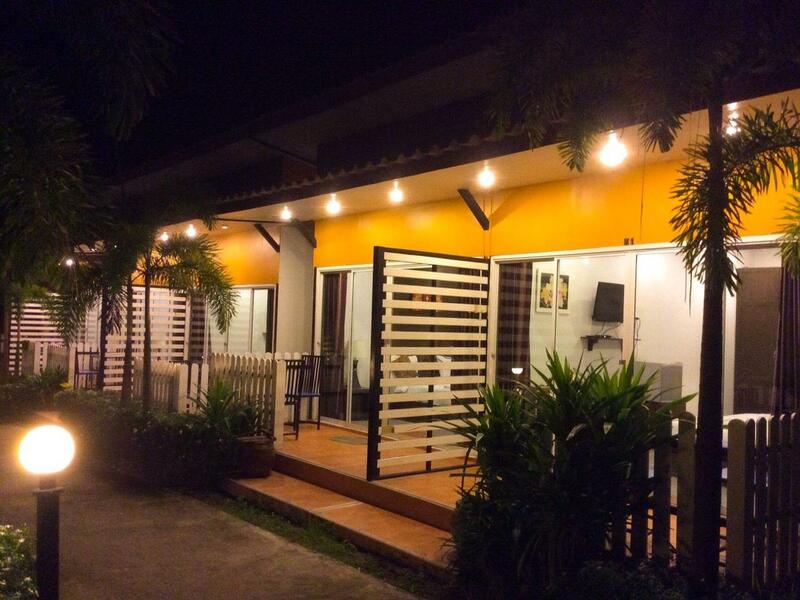 Location is good, close to walking street but not noisy at night. You can hear your neighbors talking though. Service is not good. The bedroom was ok but not the bathroom. It was dirty and I find it disgusting. From the looks of it, they didn't wash it in a long time. Molds and slime on the walls and sink. Toilet bowl was black with dirt that wasn't scrubbed. Pleasant but pay more on sunset for much better peaceful quality, Internet so bad we could not use it. Breakfast included which is a bonus, walk around the place for other places if you book a night there. Cockraches and ants in room..no room services for 4 days..unfriendly receptionist,i think she is the owner..however,the staff is better than her..but they cant speak english..what a waste..hot shower provided but basin got no water..surroundings was so dusty & no one even clean the balcony before we reach.. The women at the hotel really helpful and friendly, great location. Breakfast wasn't good.